Spring has arrived in Paris, and that can only mean one thing! No, I’m not talking about flowers and sunshine (although those are great too), I’m talking about... Roland Garros! Considered the most grueling of the slams, the French Open is truly a test of grit and fitness. On the men's side, this year’s headlines will be dominated by Djokovic’s quest to complete the career Grand Slam, Federer’s resurgence, and whether or not Nadal can continue to dominate on the terre battue. And on the women's side, there are even more questions: of course the real story of 2012 so far is Azarenka, and whether or not she can continue her tremendous start as she has still not lost a match this year. Other stories to watch surrounding Clijsters (will her body hold up for her last year on tour? ), Venus (can she make another run to a grand slam final? ), Serena (does she have a 2nd French Open title in her), and the rest of the top players. Ivanovic, Wozniacki, Sharapova all have real shots at taking home the wildest French Open draws in recent years. The French Open starts on May 17th and lasts for 2 weeks. The site is easily accessible via the Paris Metro and is a wonderful time of year to visit the city. 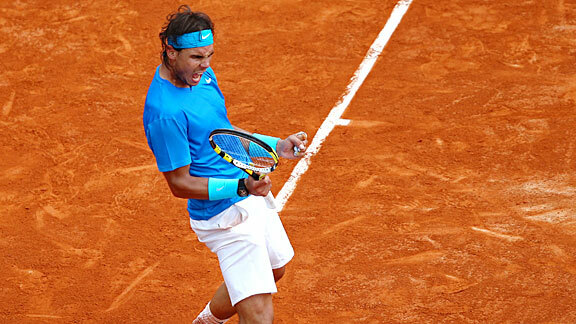 Click here for tickets to the French Open.